Maldivian government has paid Malaysian company NexBiz USD 18.1 million (MVR 279 million) in settlement to Nexbiz following unlawful termination of contract between NexBiz and Maldives Immigration to establish a border control system in Maldives. Attorney General’s Office has issued a statement announcing the settlement was paid last Tuesday. 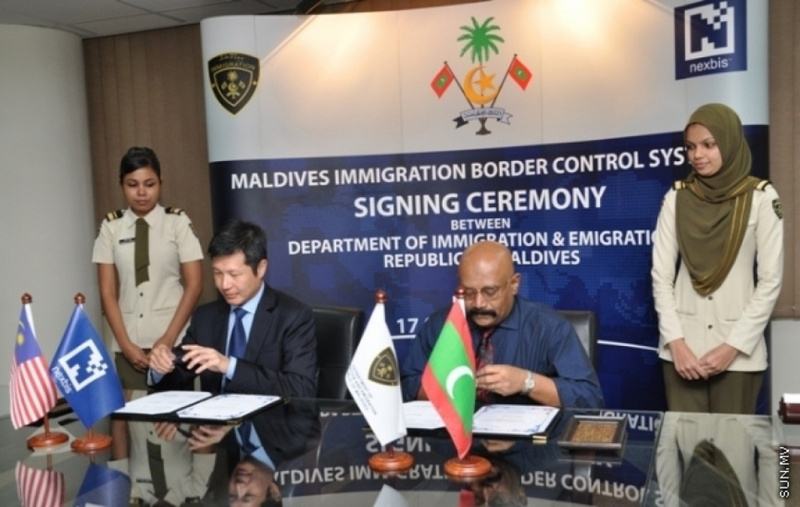 The contract between Maldives Immigration and Nexbiz for the Maldives Immigration Border Control System was signed on October 17, 2010, during former Maldivian President Mohamed Nasheed's administration. Immigration later terminated the contract and served notice to Nexbiz on August 5, 2013, during former Maldivian President Mohamed Waheed Hassan Manik's administration. Following the decision to terminate the contract, Nexbiz alleged unlawful termination of contract and filed a case against the Maldivian government demanding over USD 272 million in settlement and compensation with the Singapore International Arbitration Center on January 9, 2014. The Singapore International Arbitration Center issued its final award in the case on November 24, 2016, which determined unlawful termination of contract by the Maldivian government and ordered it to pay USD 17,085,654 and USD 1,093,370.82 to Nexbiz in settlement and compensation. Attorney General’s Office, in its statement, said the previous administration had decided against making the settlement despite repeated letters to authorities by Nexbiz. Nexbiz had later submitted the case to the Singapore High Court, which determined the award issued by the Singapore International Arbitration Center was enforceable in Singapore. The Attorney General’s Office concurred the Maldivian government had terminated its contract with NexBiz unlawfully, and the need to enforce the final award issued following arbitration. In the statement, the Attorney General’s Office reiterated the current Maldivian government’s commitment to establishing the trust of foreign investors in Maldives and enforcing awards issued following arbitrations agreed to, by the Maldivian government.